Sudan protesters plan march on Parliament, more demonstrations – Royal Times of Nigeria. A group that is spearheading anti-government protests across Sudan has said it plans to launch more nationwide rallies over the next few days, including a march on parliament. Protests have rocked Sudan since the nineteenth of December, when the government raised the price of bread, and since then have escalated into rallies against President Omar al-Bashir’s three-decade rule. The Sudanese Professionals Association, an umbrella group of trade unions, in a statement today called for a march on parliament on Sunday to submit to lawmakers a memorandum calling for Bashir to step aside. 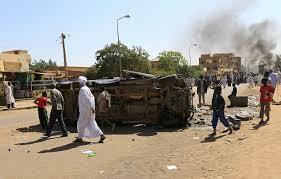 Over the past month, protesters have staged several demonstrations in Omdurman, on the west bank of the Nile. Officials say at least 26 people, including two security personnel, have died during a month of protests, while rights group Amnesty International last week put the death toll at more than forty. 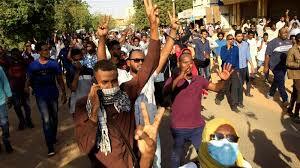 The group spearheading the protests said there will also be rallies in Khartoum on Sunday, to be followed by night-time demonstrations on Tuesday in the capital and in Omdurman.